Don't ask me why but I'm currently obsessed with glitter eye shadow. I just love the effect of blinking and the glitter catching the light, almost taking the person who sees it by surprise. With that in mind, when I went to Florida recently my head went onto auto pilot and I started buying a lot of glitter eye shadows. 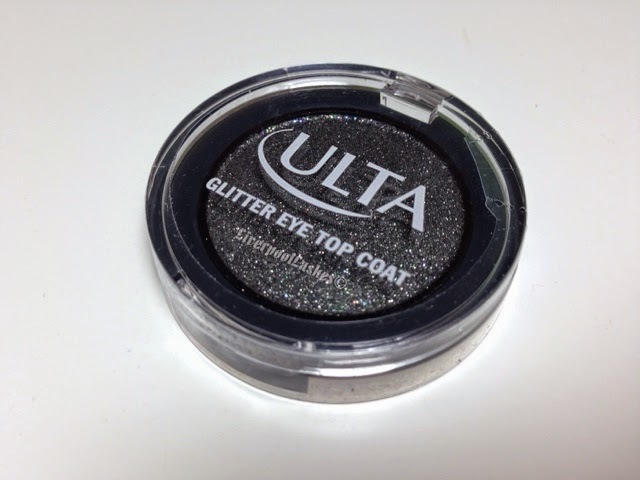 One of those were Ulta Glitter Eye Top Coat in 'High Maintenance' which is a black eyeshadow with various coloured glitters in it. 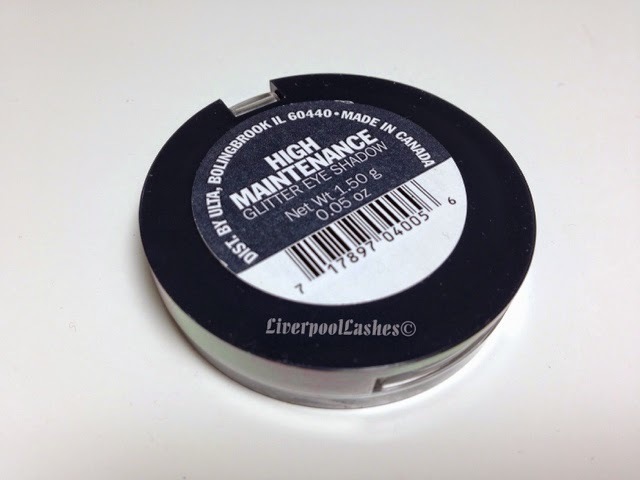 I have recently been using it with other colours as a crease colour and I find that it blends really easily and they're extremely easy to work with. 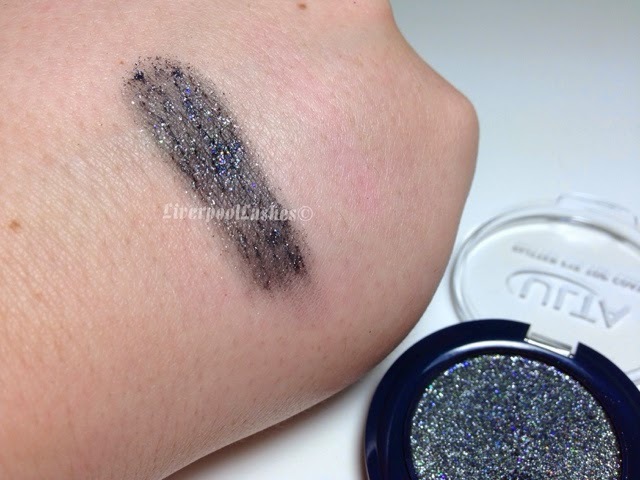 I do find that like most shadows, they are best to be used in conjunction with an eyeshadow base such as MAC Paint Pots or Maybelline Colour Tattoos to provide a dark base for the shadow to stick to. The bottom line is, for the price (I paid a couple of dollars as they were on offer) they are fantastic. 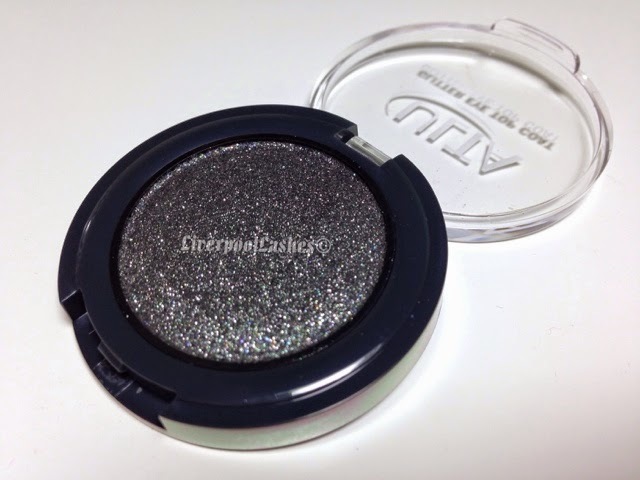 This shade is brilliant and with the right base, is really good quality. I think the glitter in it means that they're not creamy like the Urban Decay eyeshadows, for example but that's fine by me. Overall, a good budget product!